Documented by dawn nelson on 8th February 2011. 10/02/2011 tim rich Added determiner's note: ! 07/03/2011 oldnick Deleted locality: GB AMBIGUOUS Symonds Yat, Symonds Yatt? It's a recent redetermination - the dates are correct. 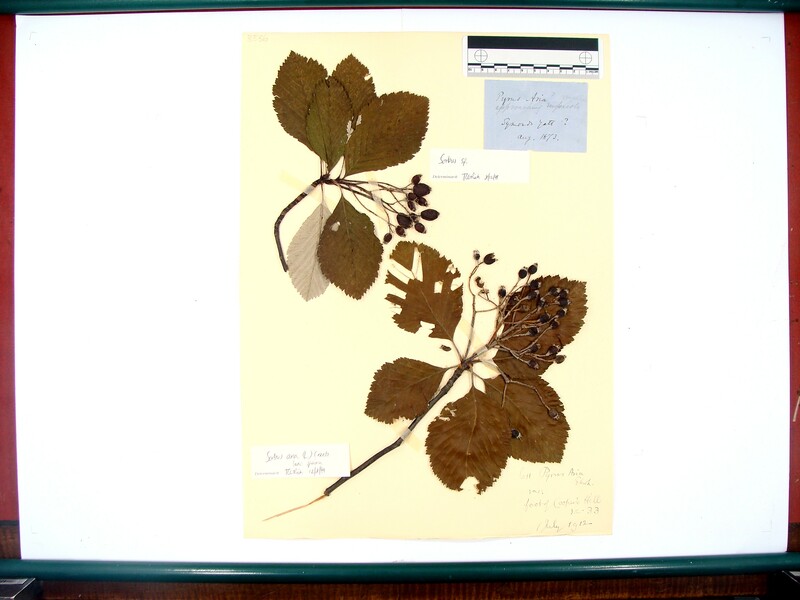 In the most recent batch of GLR I uploaded there were quite a lot of TGC Rich redetermined Sorbus specimens. When documenting these please use det. slip determination rather than the default name, as it's likely to be more accurate. e.g. for this sheet I've set Sorbus sp. as the accepted name for the top specimen (rather than S aria which it was currently filed as).